The care and wellbeing of our students is of the highest priority at Woodlands Community College. The school has the highest expectations of its students with regard to behaviour, attendance, academic progress and social and personal development and the pastoral system is crucial in supporting this. Students will be placed in a tutor group with other students of the same age when they arrive at the school and will meet with their tutor and tutor group each day. Tutors are an invaluable source of support and guidance throughout students’ time at school. Students’ wellbeing, attendance and academic progress will also be tracked carefully by a Pastoral Leader. Pastoral Leaders ensure that your child is being challenged to achieve in every aspect of school life and will work with you and your child to remove any obstacles which may be holding your child back from maximum success. The Pastoral Leader and tutor are supported on a daily basis by an Assistant Year Leader, who do not have teaching commitments and are therefore able to deal with issues as they arise during the school day. 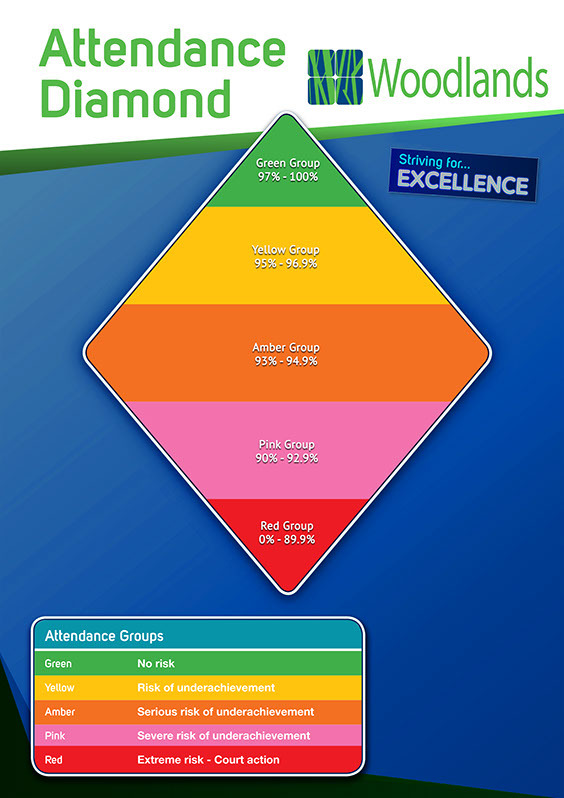 What does your childs attendance mean?